This blog is a result of an erroneous mistake; one day I referred to Dimetrodon as a mammal-like reptile in front of a vertebrate paleomammalogist. These animals are not at all members of Reptilia; they are Synapsids – four-legged, back-boned animals that span back 315 million years on a completely different evolutionary branch on the tree of life. Dimetrodon: PELYCOSAUR, NOT A DINOSAUR, SYNAPSID NOT A DIAPSID, UGHHHHHHHH. DIDN’T EVEN LIVE IN THE MESOZOIC. Assumed Pteranodon: wimpy arm and shoulder musculature, missing pyncofibers, and wrong skull shape (although it might be viable, I’m scared to continue going through and trying to find pterosaur skeletals right now because of David Peters and his misleading work). Also, many of these creatures are geographically misplaced, so even if they weren’t all from different time periods (Permian-Cretaceous), they probably wouldn’t have interacted much. And, of course, the slightly off-center type of the title of the book is bugging me as a graphic design freak, but oh well. ETA: More about the Dimetrodon: This illustration shows it with erect legs when it actually had sprawling legs, and the skull/mouth shape is not accurate either. They just messed up bad with this one. ETA2: While I do not know that much about paleobotany, I believe that most of the plants presented are fairly accurate. I’m so proud I could cry. 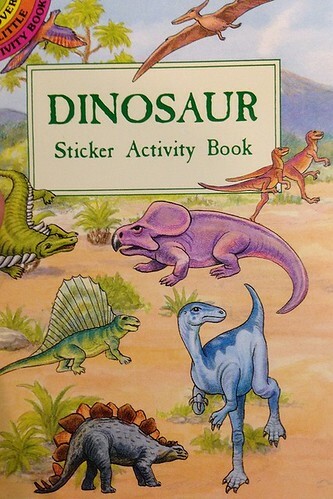 More disambiguation of the distant past at … is not a dinosaur. 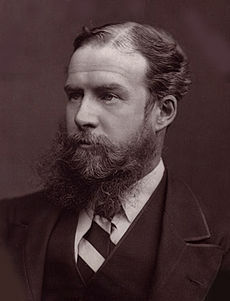 As we make Jurassic judgements, we might spare a thought for The Right Honorable John Lubbock, 1st Baron Avebury PC FRS DCL LLD; he died on this date in 1913. A banker by trade (and family tradition), Lubbock was an avocational scientist who made significant contributions to ethnography, several branches of biology, and– as a friend and advocate of Darwin– the debate over evolution, and was a central force in establishing archaeology as a scientific discipline.